← Small decisions that can make a big difference – Ready? Go! Do you remember that hymn? I used to sing it in our Sunday school class and youth camp in Brazil. Of course the translation was a little bit different, but the meaning was right. Heaven is a wonderful place filled with glory and grace. I wanna see my Savior’s face. Heaven is a wonderful place. Unfortunately many people, even Christians, have a different and wrong idea about Heaven. Some people do not believe that Heaven exists. They think that it is a creation of the church to attract people and to comfort those who have lost loved ones. It is interesting that Heaven or something close to that is present in almost every religion in the world. People believe that life does not end in the death. They believe that life will continue somehow in one form or the other. The challenge for Christians is that there are so much misinformation that they do not know what Heaven looks like. 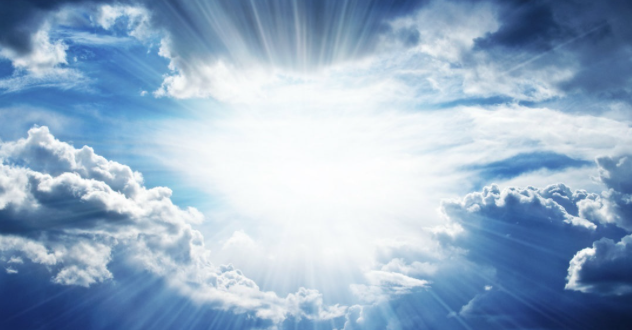 We have many myths about Heaven, and people really believe in some of them. Let me share a few with you. 1 – Heaven is Boring – The first one is that Heaven will be boring. The images that we have about Heaven sometimes do not tell the whole story. People think that we will be in a big place with clouds all over, doing nothing FOREVER. That really sounds boring. Heaven is not like that, and it is not boring at all. This myth could not be more wrong. Heaven is a wonderful place with so many things to do and to see that the word boring will not exist there. 2 – We will have religious service all day long for the rest of eternity – The second myth that we have about Heaven is that we will have religious services all day/night long FOREVER. For some churches that does not sound too bad, but for others, that would be very hard. Remember the first myth, yes; it applies to this one too. Heaven will not be boring. For some of us church services are boring, not in Heaven, they will be totally different. 3 – We will have wings and fly all over the place – Another myth about Heaven is that we will have wings and fly all over the place. This is a very popular myth that we use to say mostly when a child died. We say that they got their wings, and became an angel or something like that. Let me emphasize again, THIS IS A MYTH. We will not have wings and use them to fly around Heaven. Angels were created to serve God and His people. We are children of God, so we cannot go to Heaven and be demoted from our position. 4 – We will learn how to play the harp – Finally, some people believe that we will learn how to play the harp, and we will play them for the whole eternity. Some times we see those images and cartoons of people in Heaven sitting on a little cloud and playing the harp. Sometimes they have wings and sometimes not. Those are the ideas that some of us have about heaven. Some people really think that Heaven will be like that. These are very poor and baseless images of Heaven. I could add a few more, and probably you have your own myths about that place. When we come to the Bible and principally to the accounts of John in Revelation we learn that Heaven is totally different from what we had in mind. If you read the Book of Revelation particularly chapter 21, you will see something that the apostle John saw and reported to us about Heaven. It is a beautiful description of that place, worthy of our contemplation. In the next weeks we will meditate on some aspects of Heaven. Join us in this wonderful journey.